What Can Linguistics Tell Us About Writing Better? An Interview with Steven Pinker. 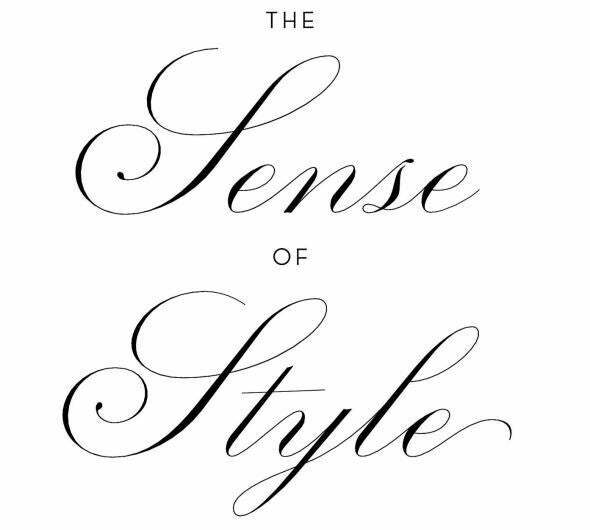 From the cover of The Sense of Style. I talked recently with Steven Pinker, author of The Language Instinct and other books about language and the mind, about his new book, The Sense of Style: The Thinking Person’s Guide to Writing in the 21st Century. This seems like quite a different topic from your previous books. Why write about style? For me, it’s the perfect intersection of one of my professional interests, which is trying to convey complex phenomena in clear prose, and the area that I study, which is to say language and cognition. What do linguistics and cognitive science have to add to a discussion of style? The major difference between The Sense of Style and other style guides is that I try to use the science of language and mind to provide more systematic and motivated advice. Most style guides reiterate rules of thumb that were stated in previous style guides or the accumulated body of wisdom of some writer or editor. And so the entire discipline of linguistics and cognitive science that has come about in the past 60 years just plays no role in most style guides. But there’s a lot that can be learned from the history of criticism and the analysis of usage, the insights of grammar, the discussion of what ought to be used and not used, where various rules and shibboleths come from, and my own field, the science of cognition and how understanding comes from language. Joseph Williams’ book—simply called Style—comes close: It’s a discussion of the science of discourse comprehension and some of the discussion of usage controversies like who ever thought you couldn’t split an infinitive. But I thought that the world could use a style guide that took advantage of that kind of scholarship. What do you think good and bad style look like? It’s about clarity, which is not to neglect grace and beauty—language ought to be a source of pleasure. When a striking image effectively conveys an idea or a feeling, you simultaneously know what the author is trying to communicate and you get that shiver of pleasure that makes reading an enjoyable experience. I practice what I preach, and I preach the merits of using concrete examples, so it wouldn’t be worth saying “Here’s an example of things to do” without giving examples. I think generalizations without examples and examples without generalizations are both useless: If you give a list of examples of wretched writing without pointing out what’s wretched about them, you can’t trust that people will draw the lesson that you’re looking for, but if you give a general principle to avoid without giving examples, you can’t trust that people will be able to apply the principle when they actually go to write something. In general the human mind is surprisingly concrete—it’s more common to write badly by being too abstract, too highfalutin, than by being too concrete, too down to earth. There are examples of both, but it’s harder to be concrete. But that being said, the emphasis in many style manuals on plain style has been taken to an extreme, especially in the early part of the 20th century, where the style guides were a reaction to the ornate style of the 19th century. So you have advice on never using alliteration, never using an ornate word when a simple one will do, when really language can be clear and stylish without being abstemious and puritanical. Hence why you propose classic style? Yeah, classic style—a concept that I took from Francis-Noël Thomas and Mark Turner—is a style that they contrast with plain style. It doesn’t have a specific goal like providing the reader with information, which is the goal of plain style. Rather, classic style prizes clarity as the ultimate virtue: It simulates a scenario where the writer has noticed something in the world that the reader has not yet noticed, and so the writer places the reader in a position to notice that thing and the reader can see it with their own eyes. The goal is to get the reader to see the truth, which the writing has made self-evident. Are there limitations to classic style? Yeah, that’s a good question. Clearly there are times when you do want to use a plain and practical style: if you’re writing to tell someone how to set a digital clock or fill out a tax return, for example. Or if you’re a preacher or moral leader who wants to whip up the emotions of a crowd, you want to use rhetorical and emotional styles, not classic style. But for exposition, commentary, review and other writing in that genre, then classic style coincides with the intuitions of many of us for what makes for good writing. I mean, there’s also a personal, reflective style where the author makes an attempt to reflect on personal experience, and some people do enjoy this type of romantic style, but few writers can pull it off, so probably a more realistic expectation for most journalists and essayists is to aim for classic style. This idea that there’s a correct style for all occasions is a shortcoming of many of the existing style manuals: They’re often directed at students and tell everyone to write in plain style. Plain style is reasonable advice for student five-paragraph essays, and other kinds of prose that should be in a fixed template, such as instructions, stock prospectuses, and journal articles, but more discursive writing styles can’t and shouldn’t be done according to a rigid recipe. And yet many of the style manuals will tell you to state the topic of each paragraph and never use a long word when a shorter one will do, and so on. In fact, we see good writers violate this advice all the time, because they’re not writing in plain style, they’re writing in classic or another style. So that’s part of the reason why the entire genre of the style manual has come into disrepute—it just seems so dull and puritanical. But it’s really only plain style that’s dull and puritanical. The fallacy that there’s only one style also frequently leads to the ridiculous questions you see in the media because it assumes that the language used in texting or in tweeting will necessarily bleed over to other styles. But look, if we’re delivering a eulogy at a funeral we automatically use a different style than when we’re texting our spouse or our friend—it doesn’t mean that people are so obtuse that we’re going to deploy the texting style in any situation without thinking of the social context. Any usable style guide has to distinguish between various types of style. There’s actually a recent xkcd comic about how texting is a valuable type of peer language practice rather than causing a decline in language. Oh neat! I haven’t seen that one, but I love xkcd. How has your experience writing for a popular audience influenced your ability to write a style guide? Writing this book definitely led me to reflect back on what I do when I think to myself, “Don’t write like an academic, write clearly and vigorously.” One of the reasons that I enjoyed the Thomas and Turner book is that I thought they captured in a coherent way many of the rules of thumb that were floating around in my head when I started unlearning my habits of academese—namely, this idea of directing a reader’s attention to something the world. Does that mean that academic writers shouldn’t be using classic style? No, I think classic style is also a boon to academic writing. The thing is, you have to separate style from content, so if a conclusion is uncertain or it applies to some cases but not others, you need to just say that. Instead of sprinkling words like relatively and virtually in every phrase, you can add in the specific qualification of where something holds and where it doesn’t. For example, instead of saying that democracies are relatively less likely to go to war with each other more often, you can say democracies are 15 percent less likely to go to war with each other. Or instead of women are relatively better at verbal fluency than men—but you don’t want to make an essentialist claim, so you’d better hedge that—you can say “on average” or “but this doesn’t mean that every woman is better at verbal fluency than every man” rather than muddying up your prose as a way of softening the claim. A good writer takes advantage of the ordinary charity that we must indulge in during everyday conversation, the Gricean maxims of cooperation, the commonsense of the reader that means you wouldn’t interpret a generalization as a law. And the exception that proves the rule is legalese, where you don’t have the presumption of cooperation that you have in ordinary conversation, so you have to include all these qualifications to preemptively anticipate an uncooperative reader. So, legalese we’re stuck with? Well, but legalese can also be made less impenetrable. In fact, there’s a movement in the legal profession to reduce legalese to the minimum necessary, because a lot of legalese doesn’t serve that purpose of anticipating an uncooperative reader. For example, “the party of the first part” actually serves no purpose whatsoever. It could be removed from every single legal document, and replaced it with “Jones” or whatever, and it would not have any bearing on the legal interpretation but it would make the document a heck of a lot easier to read. A lot of legalese is just professional bad bits carried over from one generation of lawyers to another with no good reason. Improving legalese is actually a high priority because there’s so much waste and suffering that results from impenetrable legalese: People don’t understand what their rights are because they don’t understand a contract or they waste money hiring expensive lawyers to decipher contracts for them. I think there’s a high moral value in reducing legalese to the bare minimum. How do you reconcile taking a stance on what constitutes “good” writing with being a descriptivist with respect to language in general? I think that the general attitude that scientists of language aren’t there to pass judgement is a good one, but linguists do have insights that can be applied to how we go about using language and I’d like to see more of them. You do have some intelligent commentary on Language Log but as far as usage goes, they tend to focus on debunking the usage myths that make their way into the media. That’s useful, but there’s also a lot in linguistics that helps explain the reaction to prose that’s turgid or confusing, you know, garden path sentences and so on. There are well-established areas in applied linguistics like foreign languages, speech therapy, machine translation, but it’s odd considering the demand that stylistics isn’t a well-established branch of applied linguistics. We’re really leaving it to all these people who don’t know about applied linguistics, perhaps because we’ve so overgeneralized the fear of confusing descriptivism and prescriptivism, that we haven’t realized that when it comes to prescription we actually have something to say. William Safire, actually, would sometimes consult Jim McCawley and me for his language columns. He didn’t make a habit of it, but he did sometimes. And, I mean, considering that I once wrote an article that satirized him quite heavily, he had no reason to like me, but he was quite magnanimous. We actually became—well, I wouldn’t say we were friends, but we did become quite friendly. A lot of style books seem to believe that people write badly because of some moral failing: they’re lazy or ignorant or poorly educated. And yet that’s not the stance you take in The Sense of Style: Why do you think bad writing happens? For a number of reasons. The first is that good writing is hard: It’s not something that people avoid in order to deliberatively sound pretentious and ponderous. In fact, it’s hard work to sound simple and natural. And second, a lot of the sins and failing in language may not actually be sins and failings if you take a more realistic usage of how language is used—they’re fully consistent with how good writing looks in the past. How would you say our notion of what constitutes good style has changed in the past few hundred years? What do you think the future of good style looks like? It’s certainly changed over the long run, and I think there’s been an ongoing trend to plainer, simpler language. By contemporary standards, a lot of the nineteenth-century essays and speeches strike us as flowery and ornate, because in the meantime there’s been a general streamlining. So what next? Well, I don’t want to call it post-modern because that’s its own style which is opaque and pretentious, but whether there will be a reaction to that, with more poetic sentences and imagery, as a backlash to the sparseness, who knows? So you’re not going to go on record as saying that we’ll all be speaking with emoji or something like that? There are always people who are reacting to style—there are people who will push ornateness to more sparseness, or when things get too abstemious people will push in a direction of color and flamboyance. Language change doesn’t happen according to a planned direction; it meanders throughout various possible languages. Your earlier books are the kind of thing that I think get people into linguistics, which isn’t necessarily what one would expect from a style book. But The Sense of Style includes syntax trees, which probably aren’t typical fare for style books, so do you think this is also a book that might whet people’s appetites for more linguistics? I sure hope so! It is in a very real sense a book about applied linguistics, and in order to do that it has a smidgen of linguistic theory, enough that people can understand terms like subordinate clause and the tree diagrams. Now, in doing so I had to choose my grammatical theory carefully, because it had to be one that would lend itself to applied linguistics, and in particular I needed one that would cover all the edge cases of English including those that cause usage controversy. So that ruled out a lot of the formal approaches that you see in the literature these days. I ended up going with the version in the Cambridge Grammar of the English Language by Rodney Huddleston and Geoffrey Pullum, which is this giant doorstop of a book! But you need that comprehensiveness. For example, in “he’s one of those guys who’s always complaining about his job,” it’s idiomatic to use the singular, although most grammars, bringing it back to the parse tree, would tell you to make it plural, to say “he’s one of those guys who are always complaining about their jobs.” So why is the idiom the singular version? Well, it turns out that Huddleston and Pullum have analyzed all these weird edge cases, and in fact they provide an insightful analysis for why the singular sounds grammatical in that example. And none of the other technical literature would give you an exhaustive treatment like that. Is there anything else you’d like to say about The Sense of Style? I’d say the book has two purposes. The first is a practical source of advice on how to write more clearly, not just for academics or professionals who want to branch out or be clearer on the job, but also for people who want to start a blog or series of reviews or anything like that. The second purpose is if you’re curious about what makes good writing good, or stuffy writing stuffy, just as popular science, I like to think the book can explain what makes good language good using linguistics and cognitive science. It’s also an expository book, so it clusters with my earlier books about language for people who are interested in how language works where style is just a set of phenomena that I’m trying to illuminate. So even if you never write yourself but are a consumer of writing and are curious about why you as a reader have the reactions you do, why you enjoy certain styles and not others, I like to think the book will help explain those puzzles. The Sense of Style is available as of today, September 30th.